Are you planning a vacation in Cabo San Lucas? Check out these expert traveler approved sample itineraries weekend, weeklong, and extended stays in Cabo. Thousands of people vacation in Cabo San Lucas and Cabo San José every year. Are you planning your own trip? Take a look at these sample trip itineraries based on activities that repeat vacationers love the most. For a short weekend stay, you can fit in all the essentials and see the best Cabo has to offer—and for an extended stay, take it slow and enjoy every facet of this beautiful vacation spot. We’ve got Cabo vacation schedules for a quick weekend away, a longer 5-day stay, and a nice long 10-day vacation, all based on what expert travelers recommend. 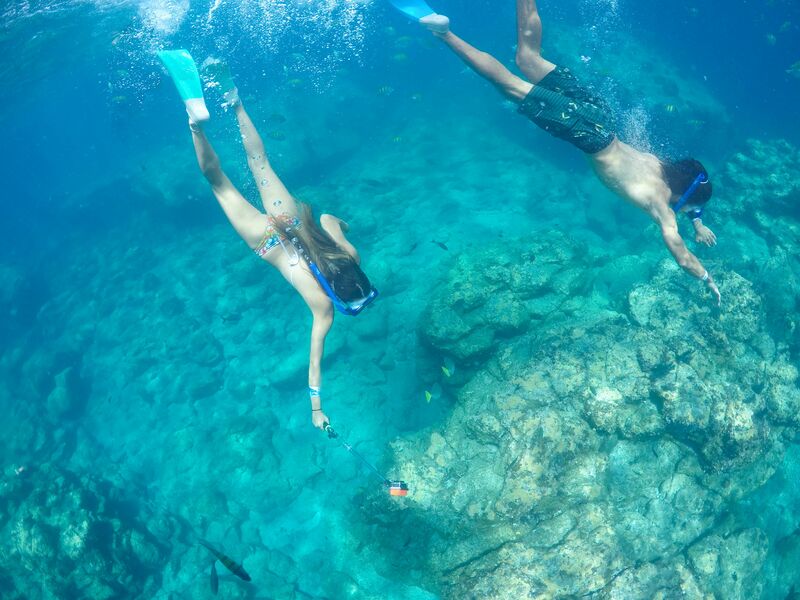 Visitors love taking a daylong snorkeling tour in the Sea of Cortez. Tourists in town for just a few days say a tour like this is a great water adventure that showcases the best of Cabo’s natural beauty. After a day near the water, spend some time exploring the shores. Sign up for an ATV tour of the desert and go off-road to explore Cabo’s canyons and natural wonders away from the water. Regular visitors love capping off a perfect Cabo vacation by booking a sunset sailboat tour. What a way to close out a vacation to remember! If you’re taking a longer week-long trip, you can pace yourself and enjoy even more of this beautiful city. Some visitors find they enjoy keeping a varied schedule, with some days dedicated to water adventures, followed by a day or two of land exploration. Start your vacation off right: shaking things up with a mountain biking tour. Beginners and advanced riders alike will enjoy a half-day tour biking on dusty trails. After a day exploring the desert, is there anything better than continuing in the water? Take a snorkeling tour that explores the beautiful Cabo San Lucas and San José del Cabo coastline, including the iconic arch at Land’s End. Even the most reserved visitors always love playful encounters with friendly dolphins. You can find both private and group dolphin tours. There’s no such thing as too much wildlife. Book a whale-watching tour to get a close look at these beautiful marine mammals. You can see Cabo from an ATV, on a bike, or by boat—but regular visitors always love exploring the Baja desert by camel. Take a high adventure day and catch some of the region’s best views from above by booking a hiking and zipline tour! Finish a great vacation and prepare for the trip ahead with a relaxing boat or sailboat cruise. Now the Cabo San Lucas vacation fun can really get started! With a luxurious 10-day getaway, you have plenty of time for the highlights, plus a little extra. A long trip is a great way to find Cabo vacation deals in travel and lodging while fitting in all the fun you can handle. 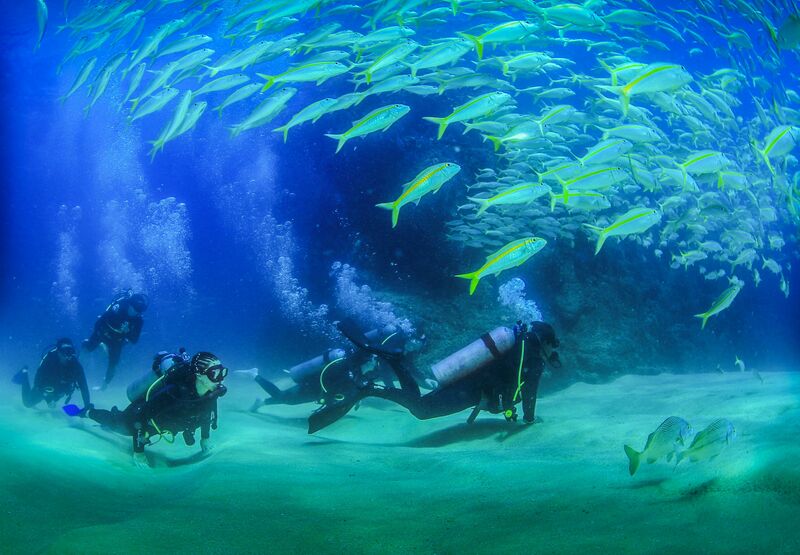 Whether you are new to scuba diving or have been doing it for years, an extended Cabo trip is a great chance to take a dive. Take scuba diving classes in Cabo or finish a certification you began closer to home. Dolphins are a must see—and so are the whale sharks, and you have plenty of time for both on an extended trip. Whale sharks are gentle creatures and are happy to have you swim beside them. Take two days to explore Cabo San Lucas by land: try an ATV tour, camel safari, mountain or electric biking adventure. Leave this day open, say repeat travelers. Use it either to relax at the beach and go shopping or to schedule a repeat of the Cabo adventure you loved the most. Begin your last day in Cabo with a half-day snorkeling tour for another look at the underwater wildlife, and end it by watching the stars appear from a sailboat cruise. 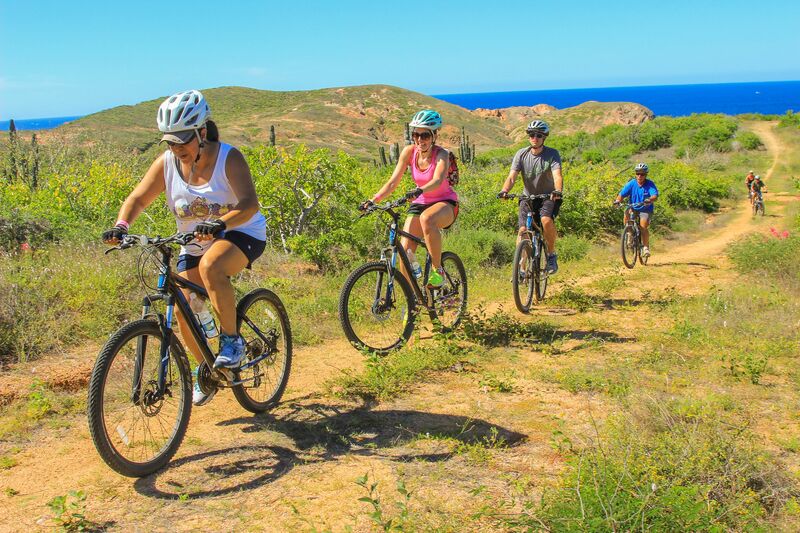 Depending on how much time you have for your Cabo vacation, pick and choose your favorite activities from these traveler approved itineraries to build the vacation of your dreams. Book your tours with Cabo Adventures today!